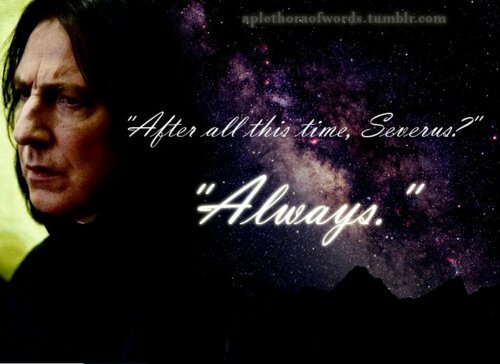 Always. . Wallpaper and background images in the Severus Snape club tagged: severus snape severus harry potter snape always deathly hallows part 2. This Severus Snape photo might contain sign, poster, text, chalkboard, portrait, headshot, closeup, anime, comic book, manga, and cartoon. Snape and Lily - "Always"
How tall is Alan Rickman (Snape) compared to you?